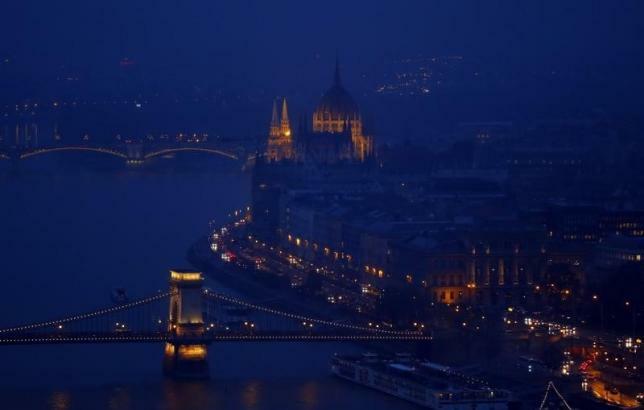 BUDAPEST – It sounds like the musical equivalent of Hungarian goulash: take the gypsy fiddles of a leading folk band, blend them with the drums, bells and xylophones of the country’s top percussion ensemble, then stir and season to taste. No one knew quite what to expect from the first joint concert of folk group Muzsikas and globe-trotting rhythm specialists Amadinda, but Thursday night’s outing at the Budapest Palace of Culture turned out to be a spicy musical treat. Both groups have international reputations, with Muzsikas, formed in the 1970s, famed for its versions of traditional Carpathian folk music, for which it won the prestigious WOMAD world music award in 2008. Amadinda, founded a decade later, is renowned for its interpretations of John Cage, Steve Reich and Gyorgy Ligeti. They had never played together until this week when, after what Muzsikas co-founder Daniel Hamar and Amadinda’s Zoltan Racz said was years of admiring each other’s work from a distance, they brought the two ensembles, plus a pair of traditional Hungarian folk dancers, together as part of the Budapest Spring Festival. The stage was crammed with the fruits of Amadinda’s travels – from a Fang wood xylophone from Gabon and a Magogodo gourd from Malawi to a Buddhist temple bell from Japan that produced a haunting drone. Added to the mix were Muzsikas’s gypsy fiddles and double bass, plus the ever-surprising “utogardon” that looks like a small cello and is beaten with drum sticks. If there was any doubt a group like Amadinda, which produced a six-CD set of Cage’s percussion works, could mesh with a group specializing in folk tunes that have been around for hundreds of years, it was quickly dispelled. The common ground is rhythm — the complex patterns of the music from Africa, Bali, Tahiti and elsewhere that Amadinda has worked into its repertoire, but also the ever-shifting beat of the tunes that Muzsikas plays, the same ones that inspired composers Bela Bartok and Zoltan Kodaly a century ago. This concert turned out to be practically a love fest of diverse cultures. Amadinda would play an African or Polynesian-inspired piece that, more often than not, worked up to tempos so fast their drumsticks became a blur of white. Muzsikas would follow with something deceptively gentle, like a warm bath, but which soon turned into a whirlpool of shifting rhythms. The evening began and ended with Amadinda’s Aurel Hollo hunched around a temple bell, which sprang into musical life to emit an ethereal buzzing sound at the touch of a brush he swept around its rim.